Note: With the Warmind expansion and Season 3 releasing May 8, Destiny 2 posts and summary images may be posted later than usual or not made until I get everything updated. I appreciate your patience during this time! Xûr is located at the Tower and Trials of the Nine is Countdown on Midtown. See info below for more details. Reminder, this is the final week of Season Two! 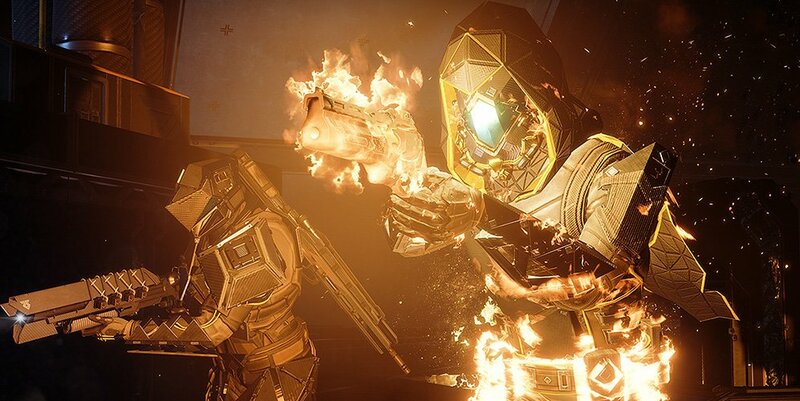 Jerpie: While we continue to evaluate the feedback and data from the last Iron Banner Control with 6v6, we’ve heard two messages very clearly. Having more opportunities to play 6v6 is highly desired and Control remains the most popular mode for 6v6. As such, you can expect Iron Banner to feature 6v6 Control exclusively moving into Season 3. As a warning, this will be your last chance to earn Season 2 ornaments, so make sure to jump in and complete those objectives. Click image above to read on Bungie’s website or click link above to continue reading here. Services will be brought offline for maintenance on Tuesday, May 8, 2018. During this time, Destiny 2: Warmind, Update 1.2.0, and Hotfix 1.2.0.1 will become available to players. Please see below for the timeline of the maintenance window. GIveaway Summary: This giveaway is available now and will end on May 14th. The prize will be sent to two winners by May 16th. Anyone that is a current follower of at least one of the following websites: Kyber’s Corner via WordPress, Twitter, Instagram, and/or Twitch may enter this giveaway. You only will need to confirm you follow on at one of the websites listed above however if you follow on more than one of those sites you will get an entry for each one you confirm.The giveaway prize is for (1) USD Digital Xbox/Microsoft $25, Playstation $20, or Amazon $25 digital gift card/code (winner chooses what place they would like the gift card to be for). Click link above for details and to enter this giveaway. Destiny 2: This Week at Bungie – Red Planet. Destiny 2: Warmind Expansion II Launches May 8! !